Eiger 3d Berner Oberland Park: Frank Dainese’s next project is coming! Last weekend another storm of indignation rolled over the Flight Simulation Community. Milviz had published a kickstart campaign to finance their ATR 72-600 for X-Plane 11. Now the storm has subsided and therefore offers the opportunity to take a calm look at the situation. We analyze how overestimation by the developers, thoughtless reporting and the aggressive discussion culture on social media led to a result with which nobody can actually be happy. 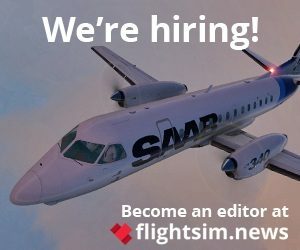 To finance the development of the Milviz ATR 72 for X-Plane 11, the development studio created a campaign on Kickstarter on Saturday. The software company wants to collect at least 27,000 Canadian dollars, which is the equivalent of 20,000 US dollars. 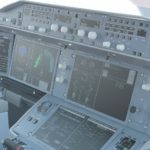 The news spread quickly in the flight simulator community, and the angry comments on the respective Facebook article also gathered just as quickly. The general consensus, even if of course there were different opinions: Put the ATR 72 where the sun doesn’t shine. In order to understand the whole situation a little better, we have to look back to 2018. 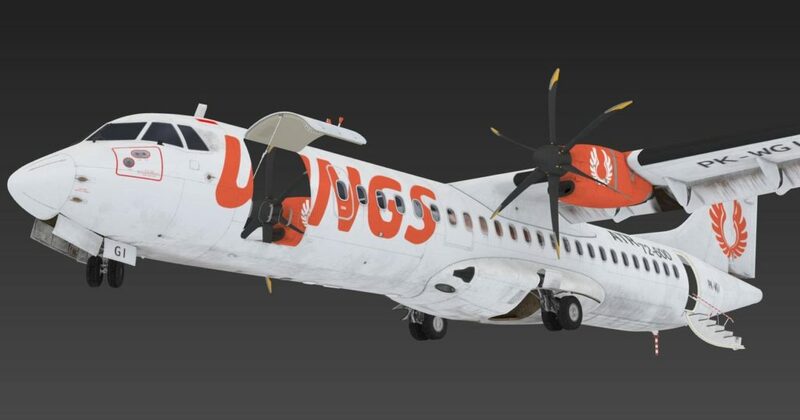 At that time Milviz announced by the way that they would also like to implement their ATR 72-600 for X-Plane 11 if possible (We reported). However, this was not an explicit commitment. “We hope for a release in X-Plane 11 if everything works out,” the development team wrote at the time. Milviz has now documented what has happened since May 2018 on Facebook as well. Colin Pearson, the head of the development studio, describes the situation in even more detail in a podcast on FL350.net. This is the new website of D’Andre Newman, who is especially known for his work at AirdailyX. Without going into too much detail here: Milviz overestimated himself massively. 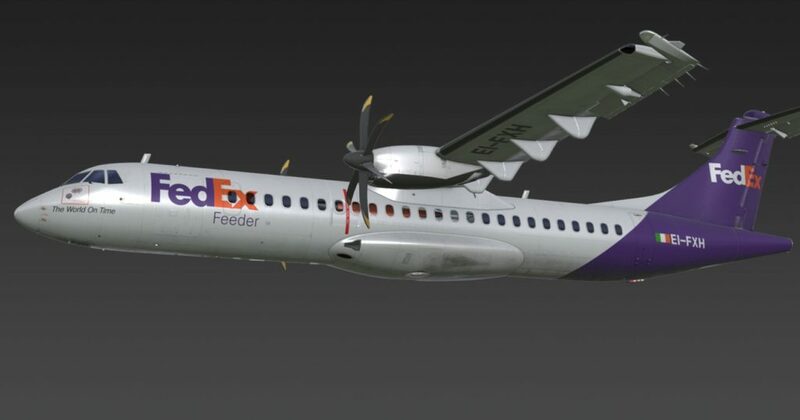 Although the software company commissioned the respected designer Javier Rollon to convert the model of the ATR 72 for X-Plane 11, and Alan Shafto was entrusted with the flight dynamics. But Milviz also has to adapt the systems of the complex turboprop aircraft for Laminar Research’s simulator. “And here, my friends is where things get difficult (and expensive) for us.” writes Colin Pearson. Because Milviz himself basically has no experience with X-Plane 11, so the developers have two options. They can hire a competent programmer, or learn how to do it by themselves. “neither is good ” says Milviz. That’s why they decided to put the project on the sidetrack for now. Milviz communicated these difficulties public on their own Facebook page. As product manager Oisin Little wrote to us, the development team has not yet found a practical way to port the Prepar3D version of the ATR 72 accordingly. Both platforms are completely different regarding the connection of the model with the Flight Simulator. According to the current state of the art, the majority of the systems have to be completely re-programmed. Colin Pearson told in the podcast that Thranda Design had rejected a request to convert the ATR – with reference to the complex avionics of the aircraft. Finally, according to Oisin Little, the previous experience with X-Plane 11 led to the decision to shut down the project for now. “With all the noise the XP community makes, the sales of our T310R have been disappointing and have led to this reassessment of the XP market. 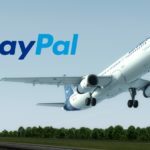 What followed was typical for the X-Plane community, which had already successfully annoyed Robert Randazzo of PMDG with its constant harassment. 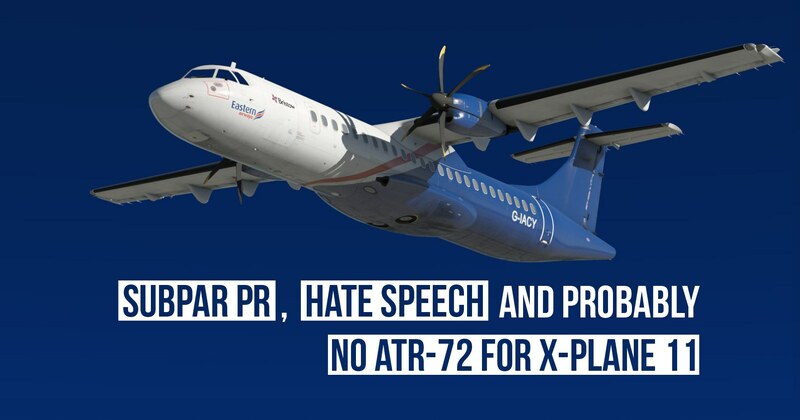 Colin Pearson reports daily emails about the temporary stop of their ATR 72 for X-Plane 11. Some of them even contained death threats, he said during the podcast. He had forwarded these emails to the police. Thereupon Milviz then – completely obviously without bad intentions – brought the Kickstarter campaign into being. The following Shitstorm is known. It’s not just Milviz that had to come to this. Can you really blame the developers for overestimating themselves? Certainly not. Rather, the Canadian company deserves credit for even daring to try and invest in X-Plane 11. The Kickstarter campaign, however, was a PR exercise, no question about it. It was predictable that the X-Plane community would react with mockery and ridicule after the previous course. After all, Milviz raised great hopes with the announcement, which were subsequently destroyed. 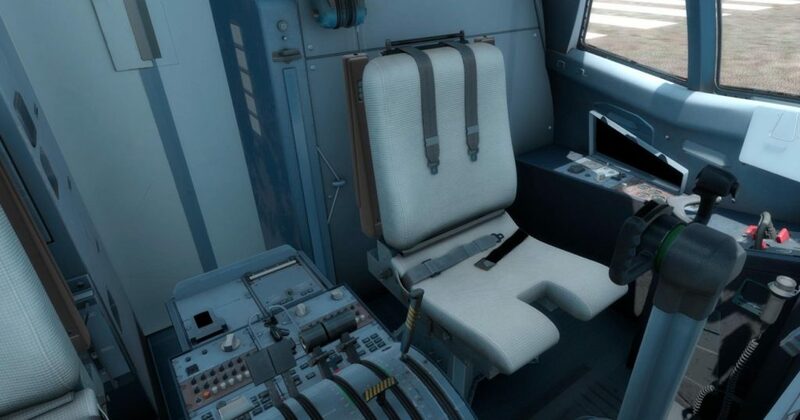 The development team first showed pictures of the ATR from X-Plane 11 and confirmed that there would be a custom FMC. Later, the company announced that it was considering a Lite FMC for the reasons outlined above. Good public relations looks different. Afterwards with a Crowdfunding campaign scarcely 20,000 USD to collect to want, this cannot be taken well. Especially since the development team has not yet published a comparable complex aircraft for Prepar3D. The DHC-3T Turbo Otter, for example, has been excellently implemented. But it isn’t a turboprop with complex digital avionics. Only with the Super King Air 350i could the Canadian company prove that they can also cope with modern propeller aircraft with glass cockpits and flight management computers. However, Milviz would have to finally publish the business aircraft. Under these circumstances, no one can expect virtual pilots to put 100 Dollars or more on the table. But even the Flight Simulator media have not exactly covered themselves with fame. 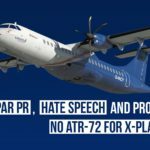 After Milviz had announced that the ATR 72 might be realized for X-Plane 11 as well, this may not have been communicated clearly enough. This raises false hopes, which can later turn into pure hatred. Also flusinews.de and flightsim.news must become still better here. 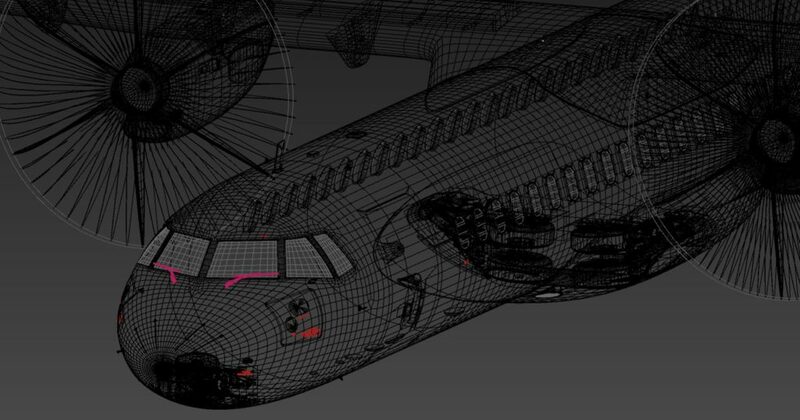 We should have emphasized more strongly that the ATR 72 for X-Plane 11 rather stands on shaky legs. However, it is much more problematic how the Kickstarter campaign was reported. ThresholdX.net, for example, used the means of the yellow press. They highlighted individual parts of the text in bold type and thus used the narrative of the greedy developers, who completely lost touch with reality. The editors also highlighted the deadline in their article and added that it looked as if Milviz wanted to exert pressure. But Threshold didn’t mention that a deadline for financing Kickstarter is quite normal. Such a reporting promotes the hostile mood, which is then discharged into the (a)social media. The portal FSElite.net did without a lurid reporting, but slopped for it in a post about the price of the ATR 72 for Prepar3D v4. In the beginning it was said that the turboprop would cost between 120 and 150 dollars. However, the editor only added later that Canadian dollars could be meant with it and the price will probably be rather 100 USD instead of 130 USD. In the comment area, however, many a readers had already let their anger run free. No wonder, finally FSElite.net served thereby likewise the narrativ of the greedy developers. Only, so that we don’t misunderstand each other: Of course, 100 Dollars is still a lot of money. But it’s much less than 130 Dollars. 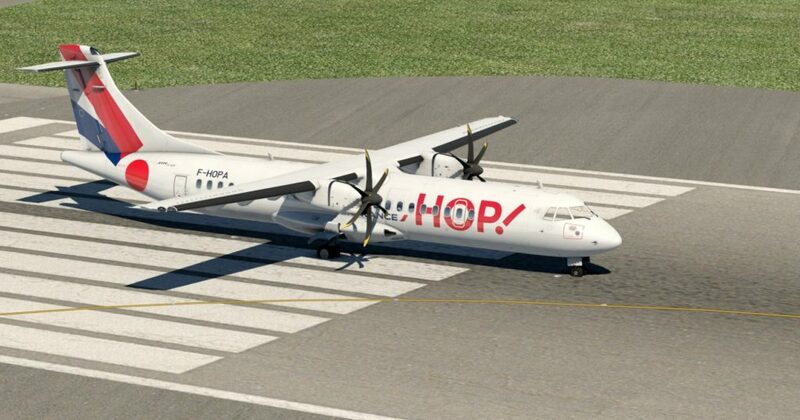 And if Milviz really delivers an ATR 72 at study level in the end, this price may even be justified. Good reporting must classify facts, let different positions have their say, research new findings. That didn’t happen with the portals that reported on the weekend. No article deals with how Milviz sees things. A quick inquiry could have quickly clarified why the company decided to take this unusual step. And then the loud X-Plane community would certainly have reacted differently. In the end, nobody can be satisfied with the current situation. 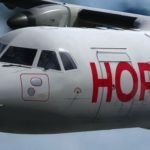 An ATR 72 for X-Plane 11 is unlikely to come. And Milviz is likely to consider exactly how they will serve the X-Plane market after the release of the currently still planned projects. That’s a pity, because for the developers the release of a very popular aircraft would have been worth it financially – in contrast to the T310R, which might have been the wrong project to start with in X-Plane 11. The X-Plane community may now have to do without an extremely renowned development team that, unlike other studios, doesn’t produce their add-ons like on the conveyor belt. 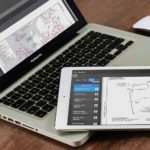 Also other software companies from the FSX/Prepar3D industry will have observed the happenings of the past weekend with interest and drawn their conclusions from it. Was that what the fans of Laminar Research wanted to achieve with their constant harassment and hostile comments?